It was a cool crisp summer morning and the sun was just starting to rise on the horizon. There was a thin layer of fog, hovering over the water. I grabbed the fishing gear out of my car and began to walk out onto the pier to meet up with my good buddy Aaron. 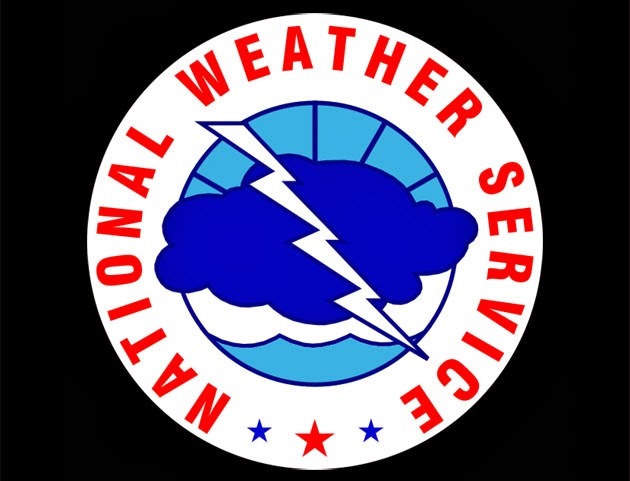 It was July 2004, at the Les Davis fishing pier in Tacoma, and it was a day that was going to change my life. 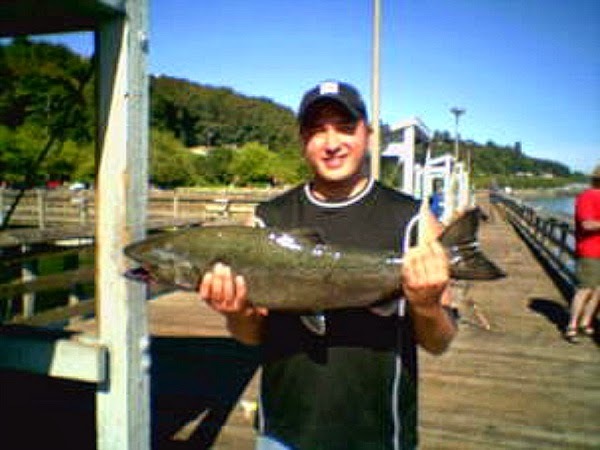 The summer of 2004 was when I first discovered salmon fishing. One day after work, I had decided to go for a walk along Tacoma's waterfront. I ended up walking by the fishing pier, and I noticed that there were dozens of anglers moving their fishing rods up and down in unison. They would cast their lures out as far as they could, and then slowly reel them back in while jigging their rod tips up and down in short six inch movements. I was intrigued by what I saw and decided to go ask what they were fishing for and the reason for the jigging action. After having a pretty in-depth conversation with an angler named Chad, and learned they were fishing for salmon. The fishermen were using lures, which are designed to replicate wounded bait fish to attract the salmon and entice them to strike. Some of the lures looked like herring while others looked like candlefish. Some were just brightly colored diamond-shaped pieces of lead that are called buzz bombs. Chad informed me that salmon are very aggressive fish that eat as much food as they could to build up the energy they would need to enter the rivers and make the incredible journey back to their spawning grounds. These fish would completely stop eating once they entered the rivers, and would literally beat themselves almost to death jumping up river rapids, negotiating treacherous log jams, shallow water, and numerous other obstacles. Upon reaching their spawning grounds, the female salmon lay their eggs, males fertilize them, and then the fish would die, completing the life cycle of these magnificent creatures. After learning all of this interesting information, I became determined to catch a salmon for myself. 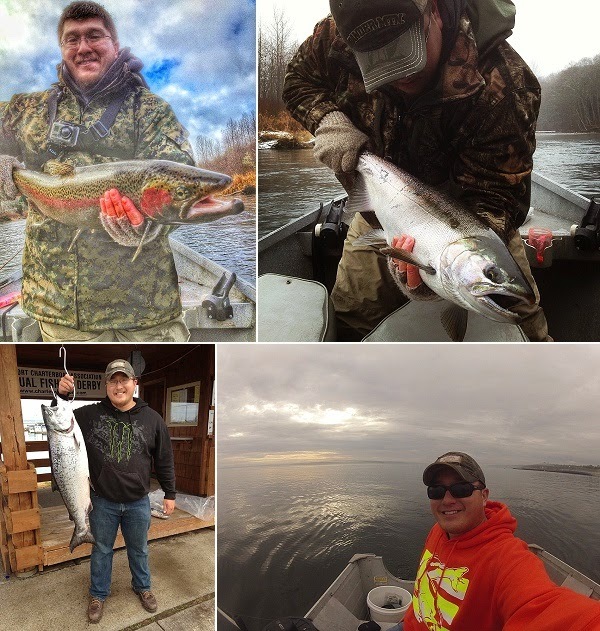 After seeing how interested I was in fishing, Chad had offered to meet me at a local sporting goods store and he helped me in the purchase of a rod and reel, some lures, and all the gear that was necessary to go salmon fishing. I spent countless mornings at the pier learning how to cast, tie fishing knots, and work the lures to imitate a wounded bait fish. 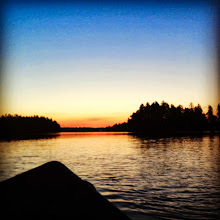 Some days I would get discouraged that I had not caught a fish yet, but there was something so peaceful and calming about being on the water and being one with nature. I never knew I could have such a bond with nature right in my own city, just five minutes from home. On that particular morning I woke up at the crack of dawn, downed a cup of coffee, and made my way to the dock right before first light. I made my first cast just as the sun started to come up on the horizon. I had tied on an all chrome candlefish, made by the Point Wilson Dart Company, with one small bead swivel in line to prevent my mono filament line from getting tangled. I jigged my rod tip up six inches and reeled a few cranks of line in, then repeated that process until the lure was visible in front of me. I cast the lure back out and repeated the process. The jigging soon became a rhythm that I didn't even need to think about. My friend, Aaron, had met me at the dock that morning and was jigging along by my side. As we would jig up and down and reel our lures back in, we talked about what was going on in each of our lives, having friendly conversation. I was mid-sentence, as I jigged my lure upward when it suddenly came to a complete stop. The lure felt like it had just gotten snagged on something solid and hard. Just when I thought my lure had snagged on the bottom of the Puget Sound, the drag on my reel started screaming as line started leaving the reel rapidly. I could see my rod tip jerking up and down as the fish shook its head trying to remove the hooks from its mouth. I couldn't believe it, I had hooked my first salmon! My adrenaline was pumping as I fought the fish. I would reel in a few cranks and the fish would run away and strip the line right back off my reel. I could tell that this fish was much larger than any of the trout I had caught in local lakes as a kid, and fighting it was like nothing I had ever experienced before. Other anglers up and down the pier noticed that I had a fish on and hurried over to watch the battle ensue, when suddenly the fish leaped from the water, and I caught my first glimpse of it. A huge, shiny chrome Chinook salmon buck crashed back into the water with a giant splash. Sighting the fish and being surrounded by other anglers added to my excitement immensely. I could feel my heart beating faster and faster within my chest. Just when I thought I couldn't take it anymore, the monstrous fish started to give up his battle. "Don't horse him in," another fisherman advised, as I reeled the fish in the last few feet. "Ok, hold him right there, he's almost in the net!" he exclaimed. Then I heard another fisherman yell "Got him!" and I let out a sigh of relief. My hands and arms were shaking with a combination of excitement and fatigue. I was in disbelief. I had caught my first salmon, and what a salmon it was! The king salmon weighed in at 17lbs and was chrome bright, covered in sea lice, and was by far the largest fish I had ever caught. From that moment on, I was hooked. Since that day, I have fished every chance I've had over the years.  I have fished for salmon and steelhead all over the Pacific Northwest. I have fished in the Baltic Sea while on a training mission with the Marine Corps in Latvia. I've fished for carp in the private ponds of Saddam Hussein, outside what was once his personal palace, while deployed to Iraq. I spent countless hours tying fishing leaders and mailing them home while deployed to Afghanistan. 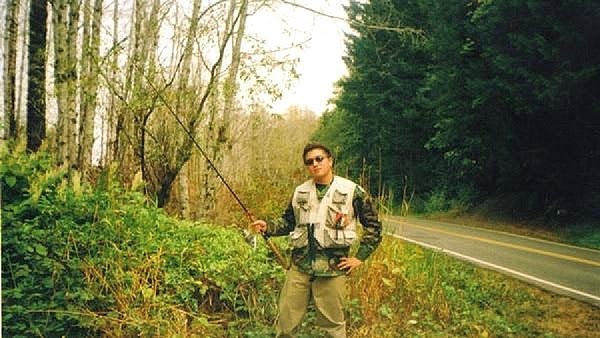 I have participated in many events focused on the conservation of fish and the sport of fishing in Washington State. Fishing has become, not only a hobby, but a passion and lifestyle that I hope to continue to enjoy and share with others until my dying days.